Our team holds the belief that truly personalized learning requires data but also thinking humans. 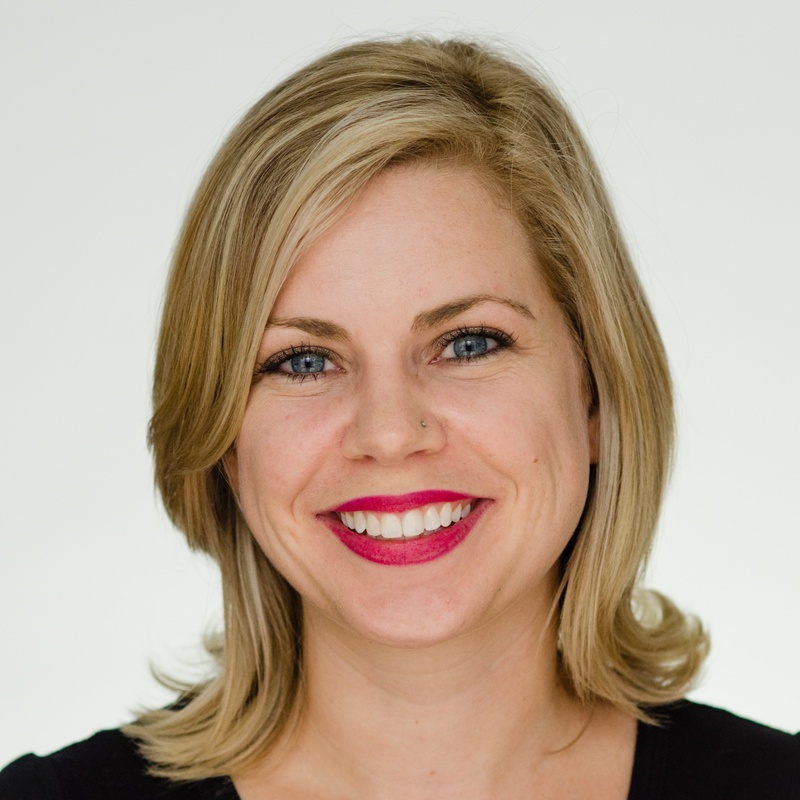 Student data isn’t as powerful without the background knowledge of a trained teacher who takes personality and learning style into consideration when making instructional decisions. Teachers are more powerful with actionable insights into student performance. To access these new reports, click on the Insight link within the navigation bar at the top of your screen. Next, select Performance from the lefthand menu. 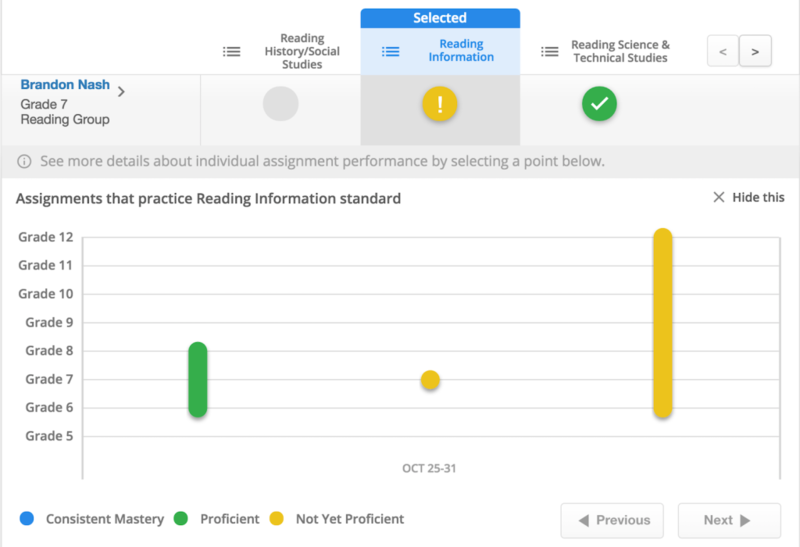 Our new Performance dashboard now shows class data broken out by automated assessments and teacher-evaluated assignments and includes more strands for tracking progress on cross-curricular literacy standards. Prior to this update, teachers could only see performance on Reading Information, Reading Literature, and Writing strands. 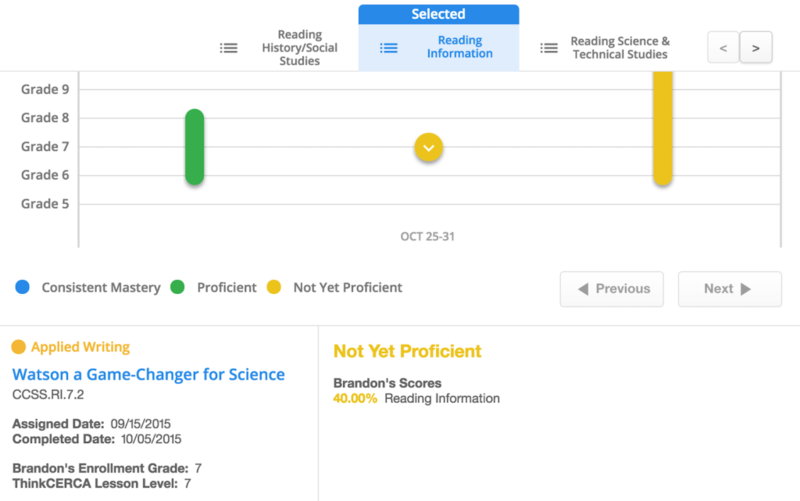 Now teachers can see student performance across science, social studies, and math, if lessons within those subjects are assigned. The color blue represents Consistent Mastery, green represents Proficient, yellow indicates Not Yet Proficient, and gray means assignments haven’t been completed. These new reports also allow teachers track differentiated individual student progress over time. You can access this information by either clicking on a particular color within the Performance charts or by selecting View Full Class to see all students within a particular class. For example, if you want focus on students in a specific class who are not yet proficient on Reading Information, select the yellow section of the chart within this strand. Click on the appropriate icon for an individual student to reveal their assignments related to the selected strand across time. In the scenario below, Brandon Nash's teacher can quickly see he scored below 70 percent on a grade 7 assignment that was worked on from October 25th to October 31st. After selecting the data point associated with this assignment, Brandon's teacher can access more details about the lesson in question, including lesson type and standard, plus additional information on how Brandon performed. Brandon's teacher can use this detailed information to adjust Brandon's reading levels accordingly. Personalized learning doesn’t happen in silos. Consider using common planning time, professional learning communities, or professional development time to review and discuss this data with colleagues and level students together. We recommend leveling students at least once a quarter. If a student demonstrates Consistent Mastery over time (blue), adjust their reading level up so they are continually being challenged. If a student demonstrates Proficient over time (green), they are performing on grade level and should stay where they are. If a student demonstrates Not Yet Proficient over time (yellow), talk to the student to get a better understanding of why they might be struggling. Based on this conversion and other insights you and your team have about the student, you may want to adjust their reading level down so they can build up their skills. Student reading levels can be adjusted within the Class Roster. Visit our support site for step-by-step instructions on adjusting student reading levels. Principals can also use these new Performance dashboards to monitor progress on literacy standards across their team and strategize to personalize growth across the school. Performance on strands by class by selecting the Performance By Class link within the Insight dashboard. Like the teacher dashboard, principals can narrow in on individual student performance across classes by selecting a teacher's name from the Filter By Teacher dropdown menu. Performance on strands by grade by selecting the Performance By Grade link within the Insight dashboard. Check back for more updates on our administrator reports. We're working on additional functionality for principals as well as an enhanced dashboard for districts in the weeks ahead. For more information on navigating these new reports, visit our support site or email us at support@thinkcerca.com with any questions.